EDIT: I'm getting a more important problem, i've got a "template" for compiling maps, i've set it up properly, and it compiles, but when running the map on game, it has no lightning, i don't know wich of the compiling tools is the one to handle the lights, so i have no idea how to fix it(and if i knew wich one was, i would still don't know how to fix it ), if anyone can help me, i would apreciate. i have attached the files you need. EDIT: also, i would like help with my launch in tenchbroom project, because it still fails to work. Did you check the output from the compiling process? Watch to see if it says LEAKED at any point. If a map leaks in the bsp stage, the vis and rad (radiosity) stages won't run, and you get a fullbright map. There should be a .lin file generated in the same folder as the .map you are compiling. The editor should support loading and showing that, which will show you where the leak is. Also, the "Couldn't load pics/colormap.pcx" is likely due to Q2 being launched in the wrong path, and it can't find the pak files. i've made a box, and made sure it didn't leaked, put a light and the player start, and compiled, everything is completely black. OK, dark means that the light stage did complete. What light value does the point light have? Any other keys/values set? The light entity, as opposed to a surface light. Does the light have any other keys/values set such as fade, falloff, or color? Also, are you able to edit the command line that Trenchboom uses to call the map compilers? There may be parameters added (such as -scale) that would make a map darker than it would otherwise be. Try increasing the light value of the light to 300 or higher. OK, sounds like it's time to try compiling with something else. 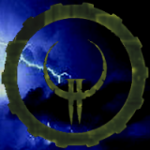 I have Quake2 installed in D:\Quake2, and the map compilers are in D:\QERadiant. I'm also using the "-threads 4" parameter for the VIS and RAD stages because I have a quad-core CPU. The "pause" command at the end leaves the window open so you can check the output for any error or warning messages.